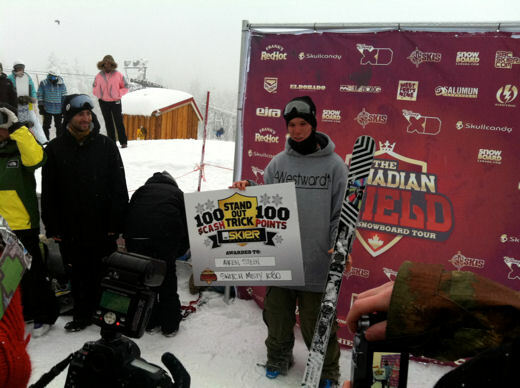 News in from Canadian Ambush rider Ahren Stein, he’s bagged himself 100 Candian beer tokens and a whole lot of kudos by winning the best trick prize at the Mt. Seymour leg of the Canadian Shield Tour. Stomping a switch Misty 1080 is no mean feat, but doing it in classic BC flat light conditions deserves some serious respect. We’re stoked for you Ahren and we hope this is the first of many comedy oversize cheques!